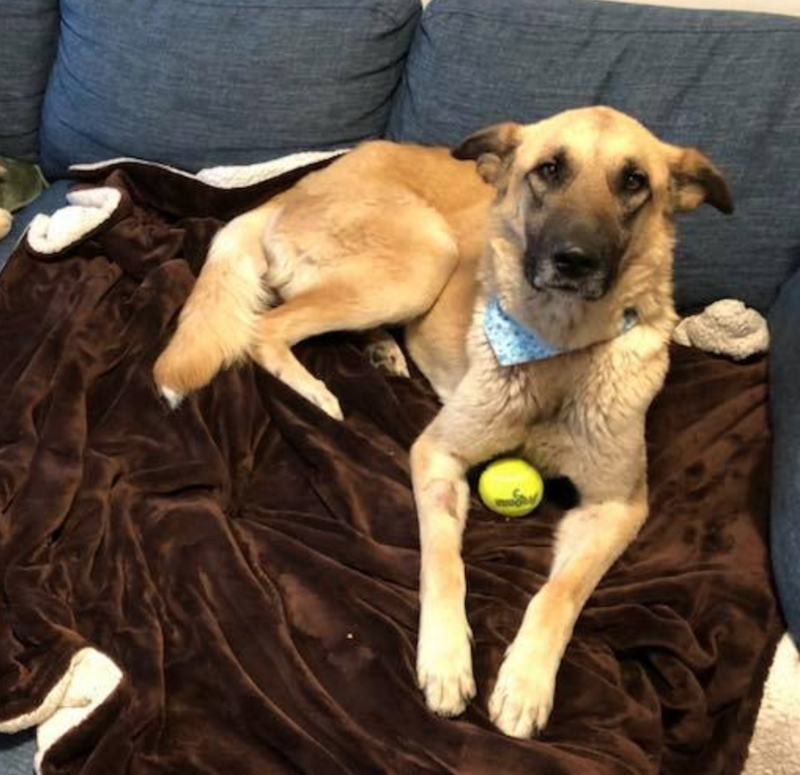 Lyla is a loving Anatolian Shepherd mix from Texas! This girl was surrendered to the shelter as skin and bones. In Canada she has thrived with her foster brother Jasper, a young Golden Retriver. She has adjusted to Toronto and we have learned that Lyla has a very special talent – comforting and cuddling people. She is really a sweet and happy dog. She has become quite playful at home. She and her foster brother wrestle all the time. She loves to play with toys, especially squeaky ones. As soon as her foster parents sit down on the couch she jumps right up and cuddles; sit on a chair – her head in the lap; lay on bed – she jumps in. She also gives lots of kisses. She definitely needs a family who will give her lots of cuddles and let her sit on the couch. She is still skittish outside but is getting better. She has some anxiety about fast cars. They drive her to a park and she is fine once she is in grassy areas away from cars. She seems to be fine with loud noises. She did much better when she visited the suburbs. In terms of cat siblings, the foster family thinks she would be fine with them. She is very gentle and doesn’t seem to have any prey instincts. She likes little dogs.